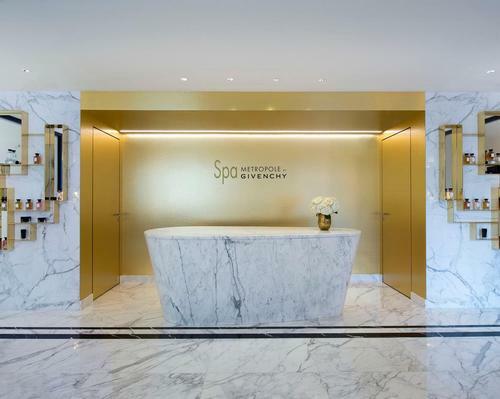 Spa Metropole by Givenchy in Monte Carlo has expanded its service offering with two high-tech additions - BGA InSoles and X Body by Fuse Concept. Available until 30 June 2019, X Body by Fuse Concept uses muscular electrostimulation to relieve tense and sore muscles, improve posture m reduce cellulite, revitalise the skin and refine the silhouette. A 20 minute treatment is said to have the same effect as a 90 minute gym session. William Cardelin, spa manager, said: "Xbody by Fuse concept and BGA Insoles are both revolutionary concepts: The first allows the equivalent of a 90 minute training session in just 20 minutes, and the second offers the best comfort in any type of shoe.